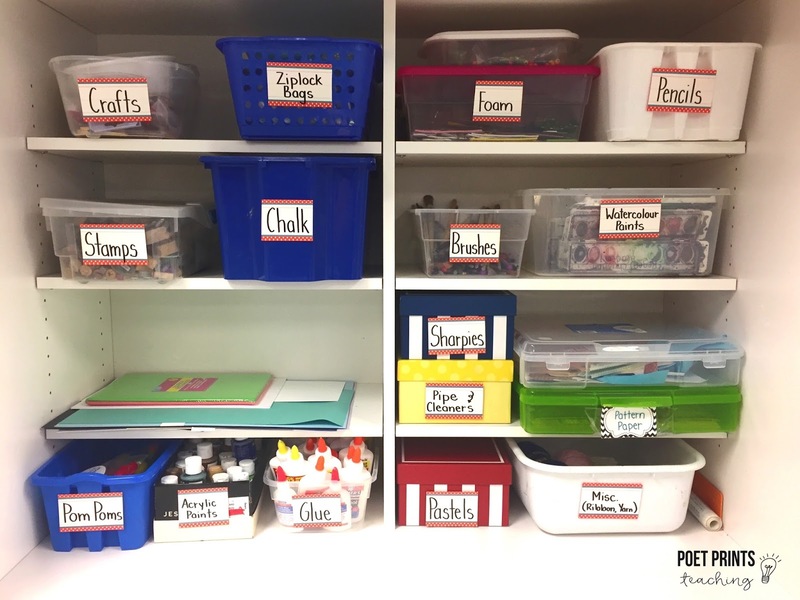 In my classroom there is one space that students flock to over and over throughout the year, the Kids Cupboard. This is the cupboard space at the back of the room that houses all of our ‘fun’ art and craft supplies: paints, pastels, chalk, foam sheets, stamps, paper, and more. Most of these supplies were found at local garage sales, clearance aisles, dollar stores, or online classified ads! I have found that people are pretty generous if they find out that supplies are going to an elementary school classroom. It takes a few weeks for students to understand how to clean up after themselves in a way that is acceptable to me and our janitorial staff. However, I rarely help them with the clean up or creation process. This cupboard is a place for students to create (and clean up) independently. I think that both of those processes create great moments of learning. I definitely guide and teach student how to clean up paints, pastels, and glue properly, but they are left to do this on their own. We use the Kids Cupboard throughout the day. It’s great as an early finishers’ space. Students can begin an independent creative project with very little direction from me. We also use the cupboard during Science and Social studies to enrich our learning. For example, when learning about local ecosystems this spring, one group of students decided to add a painting to their written report and another created a small model out of clay and paper mache. 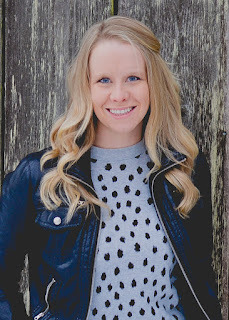 I believe that when students are given the chance to develop their creativity as a result of free-play and exploration with art supplies, it can positively impact other subject areas as well. I’ve seen it happen. I have loved seeing some of my students who claimed to “not like art” enjoy having time to create and express themselves with very few rules and guidelines. 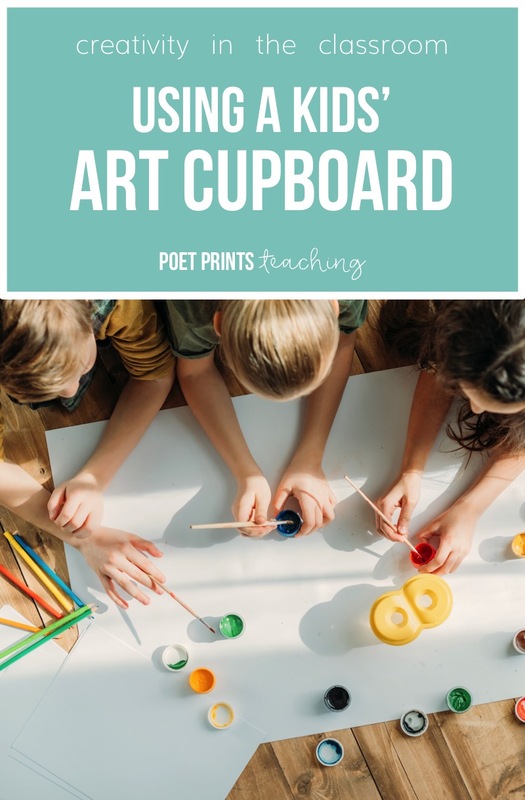 How do you manage the art supplies in your classroom? 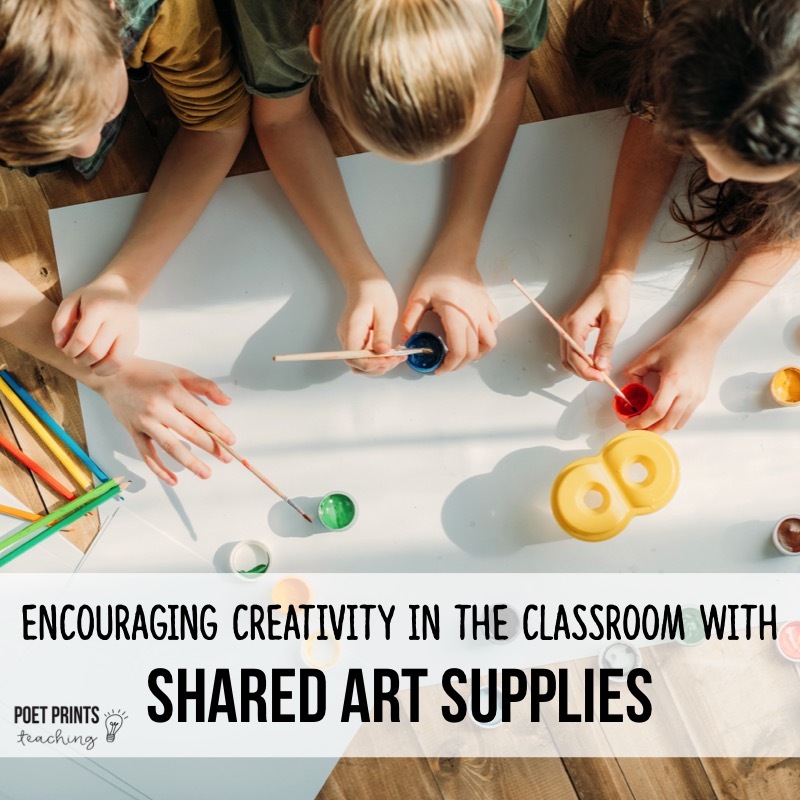 Do you have any art supplies in your personal classroom? I’d love to hear how creativity has impacted the learning process (positively or negatively!). Let me know in the comments below.